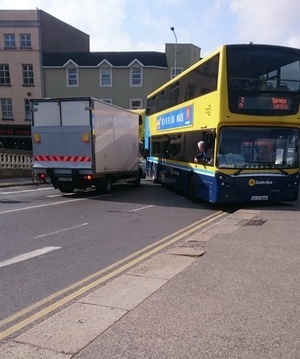 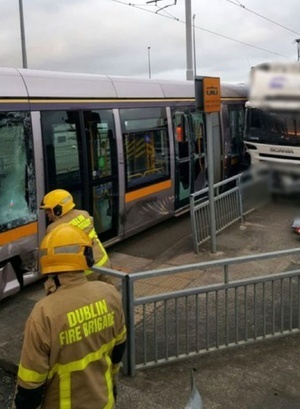 Two passengers were injured during a collission between a truck and a Luas between 6-6.30. There is currently no tram service from Belgard and Saggart. 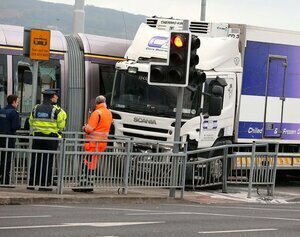 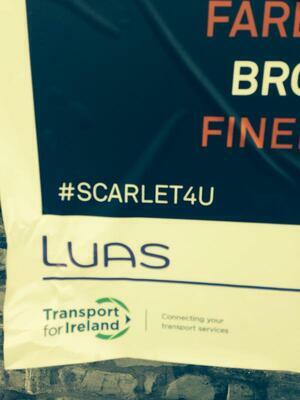 Posted in Misc and tagged crash, Luas, Red Line at 9:16 am on May 5, 2017 by Broadsheet. 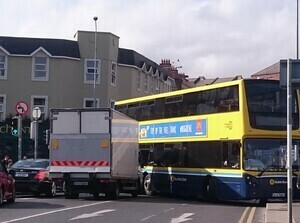 What was that truck up to? 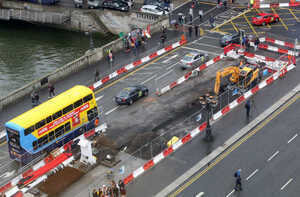 I think we need to paint the luas high viz, and have all passengers wear helmets.